Bloomington, Ind. 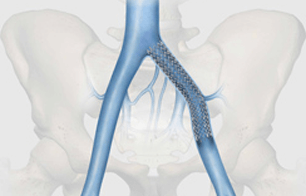 — Following Health Canada approval, Cook Medical made the Zilver Vena Venous Self-Expanding Stent available to physicians across Canada at the 2012 Annual Meeting of the Canadian Society for Vascular Surgery. Designed to restore blood flow in obstructed iliofemoral veins, Zilver Vena provides physicians with a tool designed specifically for stenting obstructed iliofemoral veins. This condition can arise for various reasons, including post-thrombotic syndrome in deep vein thrombosis (DVT) patients. Built on Cook’s established line of Zilver stents, the Zilver Vena stent is a flexible, self-expanding stent made with“shape memory” nitinol. Zilver Vena was developed to address a challenging clinical issue, the need to establish and maintain blood flow in obstructed iliofemoral veins. 1 Rosales A. Sandbaek G, Jørgensen JJ. Stenting for chronic post-thrombotic vena cava and iliofemoral venous occlusions: mid-term patency and clinical outcome. Eur J Vasc Endovasc Surg.2010;40(2):234-240.